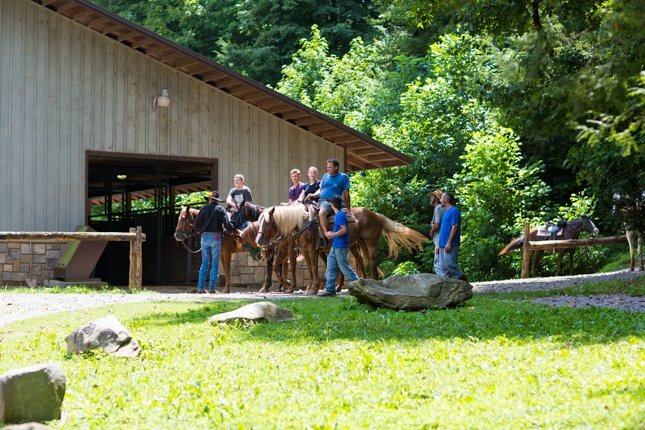 Sugarland Riding Stables, which is conveniently located less than two miles outside of Gatlinburg, gives you the opportunity to escape the tourist town and truly experience the Great Smoky Mountains National Park. 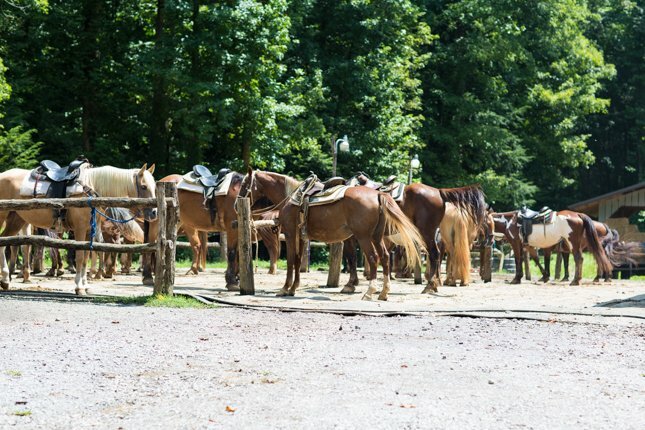 On a recent trip to the Smoky Mountains region, I had the chance to check out Sugarland Riding Stables. The website made it clear that you didn’t need to have any experience riding, but since they have a minimum age of 5 years old, I was hoping it wouldn’t be some rinky dink, ride-in-a-circle stable that some places offer. In fact, my experience was nothing further from basic or boring! The guides at Sugarland are really good, and they did a great job of setting everyone in our group at ease. They gave some really thorough information about the area and offered horseback riding tips during the ride. This is a much better approach than lecturing forever in some stinky stable! 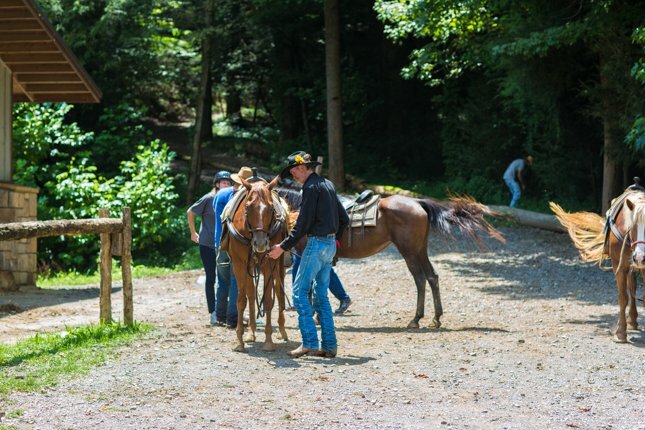 They know you’re there for horseback riding, not a whole master class, so they get you up and going as quickly as possible while still covering all the safety basics (no double riding, stay calm, etc.). As for the actual ride, what can I say beyond “WOW!” Not only do you get to ride through some pretty rugged terrain, but the scenery itself is simply breathtaking. 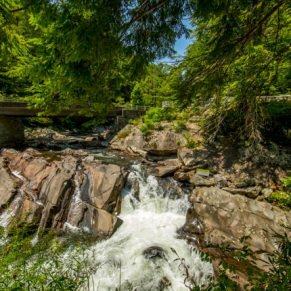 Picture shady, tree-lined trails, rushing streams, and views of gorgeous hills all around. We crossed several creeks on our ride, which was really exciting. The horses were all calm and sure-footed, even when we went over some rocky patches. The tour was really a perfect complement to our hiking days on this vacation. We got to see some really amazing scenery from a different angle, and went a little off the beaten path thanks to our excellent guides and their gentle, four-legged friends. The horses really are sweet and well-trained, which makes a huge difference for a beginner rider. Oh, and did I mention the wildlife? 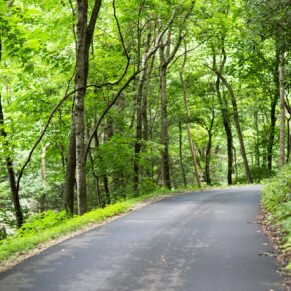 Get ready, because according to our guide, it’s not uncommon to spot a bear in the woods! On our trip, we weren’t so lucky, but we did get to see a pair of deer dart across our path, which was quite special indeed. The horses stayed totally calm the whole time, almost like nothing happened. I think they must be used to these animal sightings, and my guess is that the animals in the area have gotten a little used to these Gatlinburg horseback riding tours as well. One note of caution: be prepared to be sore! I’m not in the worst shape, but the muscles you use riding a horse are totally different from the ones you use walking or jogging. I definitely felt it in my hips and thighs for a couple days afterwards, but it was nothing a hot bath couldn’t help. Besides, the amazing views and wildlife sightings made the discomfort totally worth it. 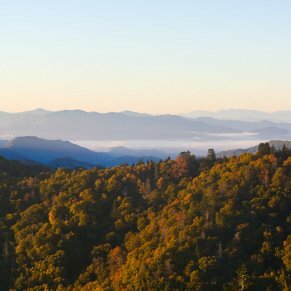 I highly recommend this place if you’re looking for beginner friendly horseback riding in Gatlinburg that’s still challenging, fun, and a real back-to-nature experience. 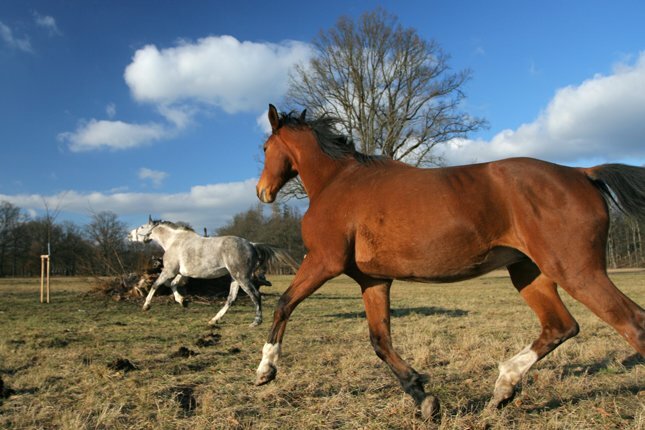 You are most likely to spot wildlife on the early morning and dusk trail rides. Go past traffic Light #10 on Hwy 441 in downtown Gatlinburg. The riding stables are approximately 1 1/2 miles on the left just prior to the Sugarlands Visitor Center.